When you have three kids, laundry is a huge part of the day. Day in and day out, these kids seem to just wear a lot of clothes. PJs, school clothes, play clothes, uniforms. The list goes on and on and it all seems to happen each and every day. Without fail! Why are there so many clothes? Seriously, why? LOL. Because of this, it’s really important for the Sweeney household to have the absolute best washer and dryer possible. We want it to clean well, dry efficiently, have all the latest features, and just do the job it needs to do. This is not a luxury for us, it’s a requirement. When this component of life works well, it’s just one thing that makes life a little bit easier. You know? We recently picked up a brand-new washer and dryer after months of searching. Our old machines were reaching the point of oblivion and we had to get something ASAP. We settled on the awesome new Samsung FlexWash™ washer and FlexDry™ Gas dryer. The FlexWash and FlexDry laundry pair provide a complete laundry solution. By incorporating the capabilities of two washers and two dryers into one incredibly versatile system, they deliver an advanced, flexible laundry solution for modern families. Samsung’s FlexWash Washer provides the ultimate washing flexibility, with two separately controlled washers in the same unit, so you can wash different types of laundry at the same time. Samsung’s FlexDry Dryer provides the ultimate drying flexibility, by combining a conventional large capacity dryer with a delicate dryer, so you dry delicates and everyday garments at the same time. Yes, you read that correctly. Both the washer AND dryer have the capability to wash and dry two loads at one time. Do you know how cool this is? It’s awesome! 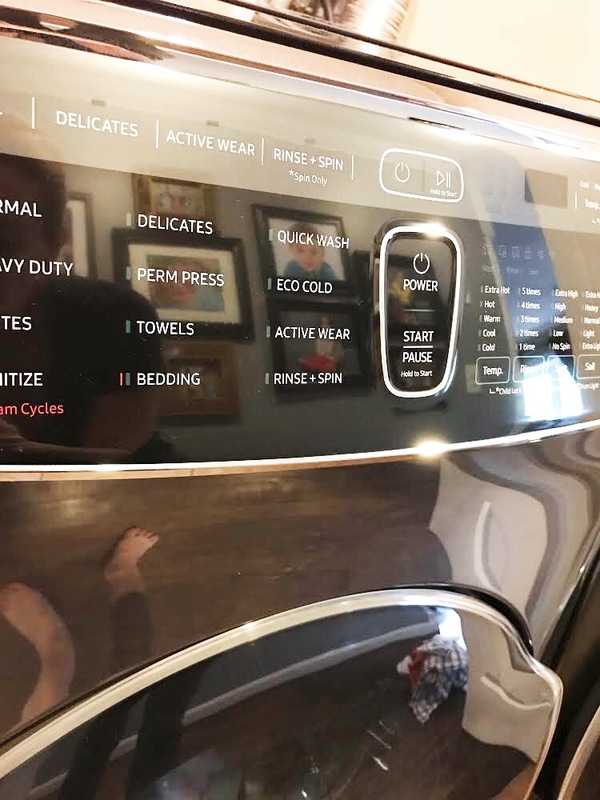 It makes life just that much easier and makes laundry that much quicker and more efficient…which is what I am all about when it comes to chores like this. The units are also tricked out with all the latest tech, from a ton of settings to awesome features like large-capacity 4.5 cu. ft. front loading (with the 1.0 cu. ft. top load) for the FlexWash washer, which means fewer loads and less time. Plus, the Steam Wash advanced feature removes stains without the need to pretreat. Samsung’s FlexDry dryer provides the ultimate drying flexibility, by combining a conventional large capacity dryer with a delicate dryer, so you dry delicates and everyday garments at the same time. 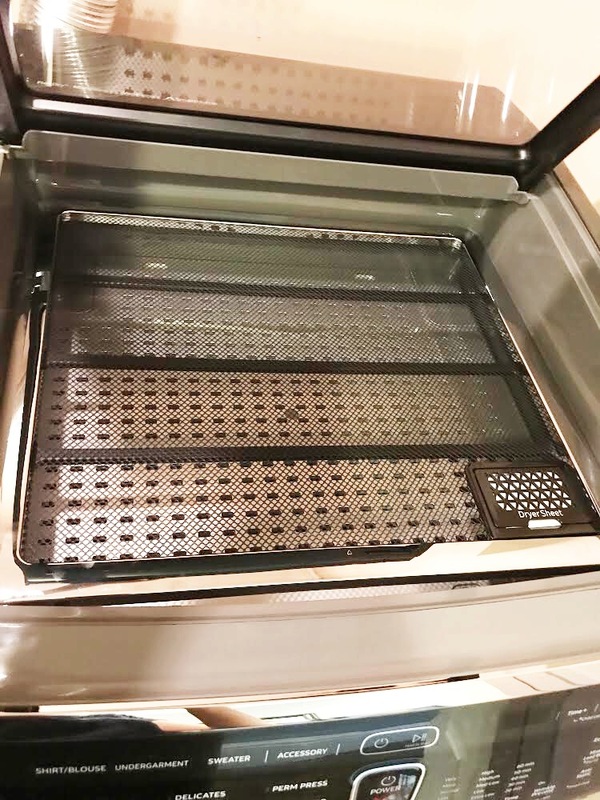 The upper delicate dryer lets you dry items flat to prevent shrinking and fabric damage. Advanced features like Multi-Steam Technology give you the ability to steam away wrinkles. Check out my video about this dynamic duo!! 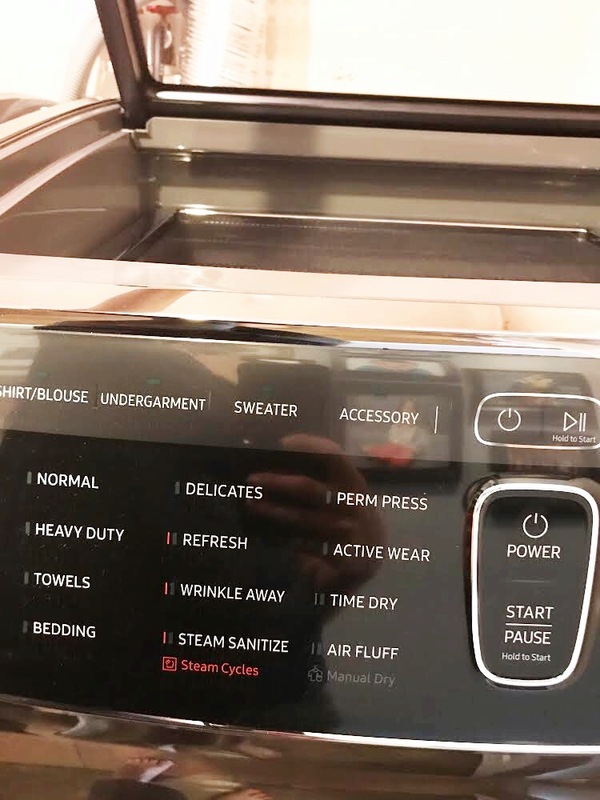 The clothes come out great, the machines are super efficient, plus both of the machines work with the Samsung Smart Home app! You know I’m all about the apps! 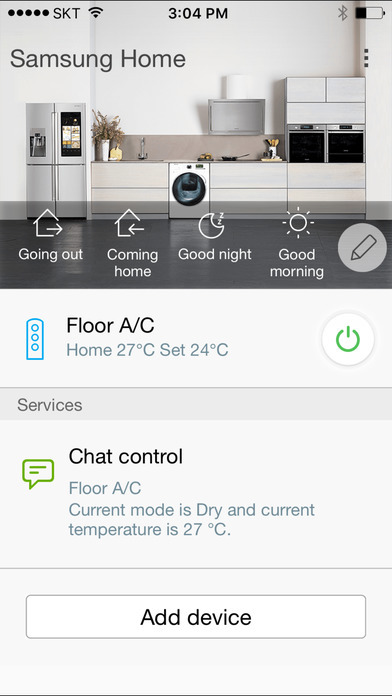 The Smart Home App allows you to control your Samsung washer/dryer remotely from your smart phone, and notifies you of the status of the washer/dryer, whether it has a problem and the actions you can take to solve it from your smart phone. It’s awesome and it makes the laundry process that much easier and more efficient. These machines are fantastic! A real home-run for me. 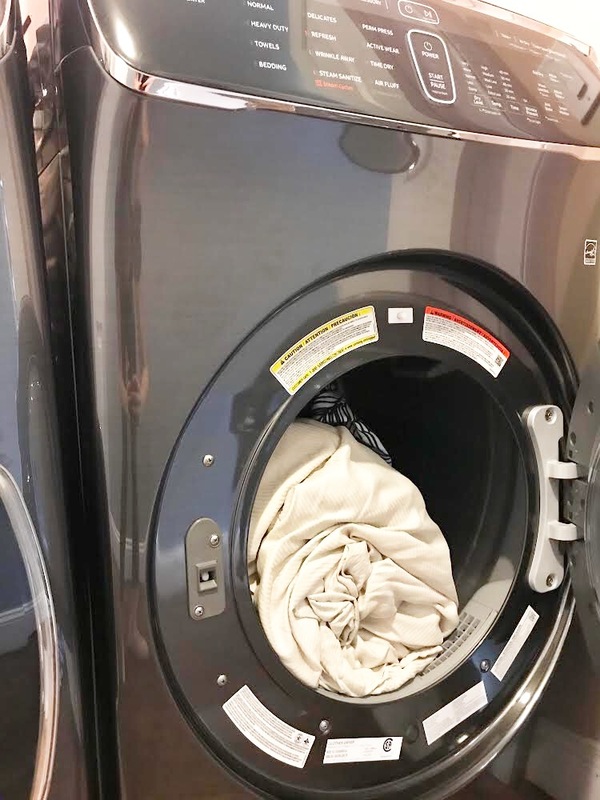 If you’re in the market to upgrade your laundry experience, these machines are something to check out for sure. I would love a washer/dryer set like that! We have a decent pair, but these are far and away better. I’ve seen these washer and dryers at a few of the conferences I’ve been to and I want them! They look like a great set! Love Best Buy! Anything that helps with the mundane tasks is alright in my book. Laundry is just one of those things that never feels like it’s done. Oh my! Love all the features, it’s totally awesome and it would be nice to have this at home. Laundry is tough with 4 kids and 2 adults plus the family fur babies! This will definitely make life easier for me. I would love to upgrade to this new Samsung washer and dryer. However, ours is still fairly new and still works well. I will seriously consider this brand if we are in the market for an upgrade. I will also let my sisters and cousins know. Maybe they need a new washer-dryer set. 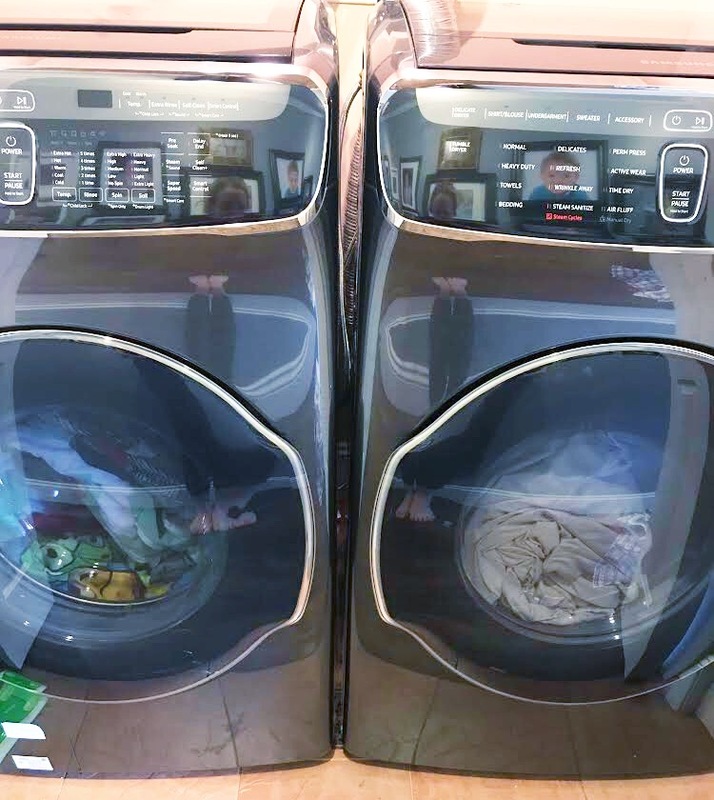 Laundry is my least favorite task, but if my washer and dryer was as high tech as this Samsung, I would LOVE doing the laundry! Now, if only someone could invent a “Sorting and Folding” machine, I would be extremely happy.